This last 6 months have been a challenge for me – as most of you know I have had some health issues – so thought I would share with you one of the things that I have done to prepare for the unexpected. Sometimes life just happens and you have to learn to go with the flow! That is what happened to me and yet it is still my responsibility to keep Zaney Clicks out there as the owner. So many times people ask me how do I keep up – well I feel that I’m so behind but wanted to let you know the #1 thing that has helped me prepare for the unexpected. As most of you know I am a member of MANY traffic exchanges and here is my secret to prepare for the unexpected. The site that I’m talking about is TE Commando Post and yes I took the time to add the TE’s that I’m a members of in and now with ONE CLICK I know exactly where I need to add credits. If you all missed my last post on TECP below is the title and clickable link … I think that this is one of the most important sites to help YOU prepare for the unexpected. With all the bad weather that has been happening around the country, this is a must for anyone who wants to help keep their sites or advertising showing when the unexpected happens. 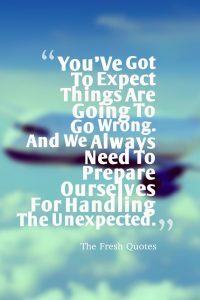 I hope that this helps… it’s been a life saver for me… Remember unexpected things do happen and you need to be prepared for them, in advance! This entry was posted in Traffic Exchanges and tagged Nancy Radlinger, preparation is the key, prepare for unexpected, TE Commando Post, TECP, Traffic Exchanges by Nancy Radlinger. Bookmark the permalink. I am member in TECP but I did not have time to study it and take advantage of it. Thanks, I go there and see more! Thanks for your comment and Square banner prize given to User #69652. My dad always said, live for today but plan for tomorrow…. You raise some very good points!! Thanks Renee and with so much going on these days – TECP just saves so much time vs chasing all over remembering where you need to add credits, banner or text impressions. Thanks for your comment and Square banner prize given to User #66751. Thank U Nancy for helping me get refocused on priorities. One main thing you left out Nancy is you need to have someone capable and willing to look after your business when you cannot. I found this out when I ended up having cancer then a heart attack and then complications after that. I had a good business going at the time but by time I could back at it the business was gone. I ended up having to shut down because I was not prepared to have something happen. Sorry to hear about all your health problems and can understand what you are saying. You are so right in having a great backup plan especially being a site owner. Thanks for your comment and Square banner prize given to User #70034. I’ve been a believer in TECP since day 1. Many veteran TE members from pre-TECP llike me have expressed their relief that it came along. Even though I was pretty good about keeping track, even I was shocked to find that I had some commissions waiting that I hadn’t already claimed. So it’s GREAT to have that tracking also. It wasn’t hundreds like some people were oblivious to, but it was a Godsend nonetheless. In case of emergencies, it’s always great to know that you can find your commissions too! Yes that is a bonus and has surprised me many times seeing the commissions that I had setting there that I didn’t know about as I must have missed the email notifying me. Thanks for the comment and Square banner prize given to User #63136. I have been a member like most fir a long time and like others, with the changes in my focus, those TEs need to be updated. It does a great job when you work with it. At one time or the other, we are all victims of the unexpected. Thus being prepared with a back up person is a must. As is back up content so things run smoothly. In the TE industry that can be hard. Great points Nancy. None of us are getting any younger. Oh I hear you and it’s easy to loose focus and we all have been guilty – but getting back on the right track it needed. This is a great way I feel to make better use of your time – ONE site to manage all the TE’s you belong to – just a must. Thanks for your comment Square banner prize given to User #66203. Nancy, I’ve read your comments about TECP in the Zaney Clicks site and emails before so this time I proceeded to follow the link to your blog. Glad I did and found your posts very informative as I’ve been looking for a way to increase my effective advertising while decreasing the time I spend surfing each day. I signed up for the free trial and we’ll see if this fills the bill for my situation. Great Mary and you will see the time it saves – initially getting all the sites set up is so worth it and if you need any help or have questions just let me know. Thanks for the comment and Square banner prize given to User #69959.